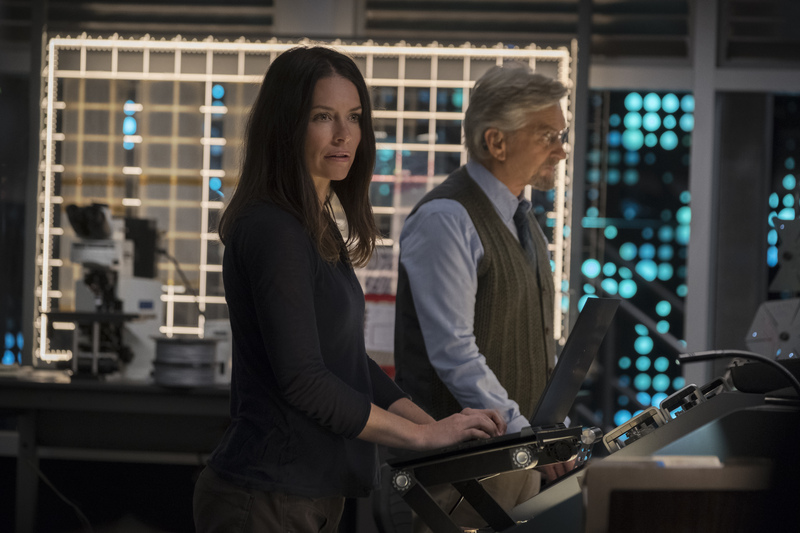 During the Ant-Man and the Wasp Event, we had the opportunity to chat with Paul Rudd, Evangeline Lilly, Laurence Fishburne and Director Peyton Reed, but Ant-Man and The Wasp Michael Douglas Interview was pretty special. 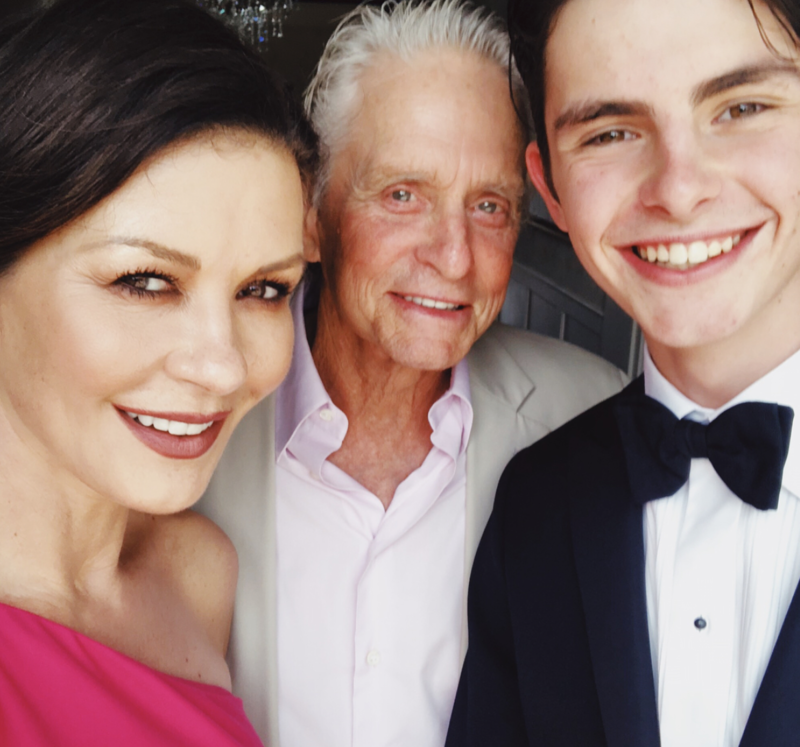 The energy of the air almost changes when Michael Douglas enters the room. I mean it is kinda hard to top the excitement the 25 of us had. He has an air about him that he has earned. Coming from Hollywood royalty himself, (his dad is the late Kurt Douglas), you know you are going to get a great interview. And that we did. The energy of the air almost changes when Michael Douglas enters the room. I mean it is kinda hard to top the excitement the 25 of us had. He has an air about him that he has earned. Coming from Hollywood royalty himself, (his dad is the late Kurt Douglas), you know you are going to get a great interview. And that we did. Thank you very much. Good morning, class. We’re going to learn about quantum mechanics this morning. Only a few people had seen Ant-Man and The Wasp when this interview took place. I haven’t seen it yet. I don’t know where you guys saw it. The people yesterday saw it the night before and had a really good response. You know, because when you’re doing them, it’s all in separate stages, you know. You’re acting on one stage, stunt guys are another stage, green screens over here. And then they have those little miniature guys. So, you know, they work on it right up till the end, all the Marvel pictures. I think that’s part of their magic I guess. So, I haven’t seen it. So, I’m excited. They said the humor was funny. It was funny. A lot of people liked it better than the first one. Our director Peyton, you’ll see him, he’s beaming. He looks excited, so that’s great. What was it like being reunited with the cast again? There’s just an inherent relaxation and joy normally about a sequel or whatever they are. It’s why when you look back to the old days, why actors and actresses work together or directors together, you don’t have to introduce yourself again, you know. You know each other. There’s a comfort factor which makes it much easier. People know your own sense of humor. You’re not going to offend anybody. So, I mean the comfort factor is really nice. I mean that combined with the fact that Paul is just a sweetheart. He’s just a great, great guy, so it sets the tone. You know, most of my career I’ve been number one on a call sheet, the lead, and so to be in a supporting role in a picture like this, you watch how he does it, you assume a lot of responsibility. If you’re smart, if you’re the first, you set the tone. You’re the first one on the set, you make everybody else comfortable to make their best performances possible. I mean that’s just all part of the thing. I could see her. So, she’s loaded, you know. She was ready to go and excited. So, that part was all nice as far as with them. And then you get that wonderful thing of Marvel does a great job of casting, obviously. Michelle was just such a treat. I’m a tremendous Michelle Pfeiffer fan. Never imagined ever getting a chance to work with her. Needless to say, to play 30 years younger. So, that was great. And Larry Fishburne is, is quite an actor. And then this young lady who I think you’ll be hearing a lot about is Hannah John-Kamen, who came out of, I mean, they were all talking about her almost like it was a sports team. We have this great rookie, this girl, she’s fantastic. And she really is. She’s wonderful. I must tell you, I was a little disappointed on the first one, you know. I mean, so, I kind of reluctantly looked whimsically at how good everybody looked, Paul looked great and everything else. So, yeah, I got my old suit back up so if this continues, my feeling is, if you get big or small they make you young, I mean, I might as well get back in there again. What your reaction to seeing yourself looking young on the screen? It cracks me up. It just cracks me up. I’ve never done any of these pictures before. The last one was the first green screen film. It’s just this whole other world. I’ve got a whole new appreciation for actors who can act when there’s nothing there. I mean it may be just basic bottom terrain, but you’ll sit in these huge studios with green walls all around and this and that and Peyton telling you, okay, the asteroids coming in here. Look up here, this and that. And you’re afraid you’re going to be embarrassed. And then you see it put together and they know what they’re doing. Your dry humor is perfect in this movie. How often did you have to stop because you couldn’t keep a straight face? I imagine the set was entertaining to be on. This set was a lot of fun. I think we’ve all learned, and I really appreciate you saying that because I was trying to find my place in this and, basically, I did not plan on mentoring Scott. That was not my idea to take over the role of Ant-Man. He was a burglar, and nor do I think he’s proper for my daughter. So, trying to find kind of a dry, since, a little intellectually aloof and all of that. But as far as cracking up, we watch it because I mean when you feel it bubbling up, we don’t let it go there. I’ve just learned from the past, because sometimes what happens is it’s hard to pull it back. And then you can lose a lot of time. I mean, because once somebody goes then, it happens. But with Paul, it’s difficult because he ad libs so much. I’m a little jealous of Paul because I’m kind of carrying the storyline and having to go home to research about what the hell I’m talking about and all of this. And I will pontificate and Paul will just come in with some one-liner and steal the scene. He’s unpredictable, wonderfully so. And funny. So, it happens a lot. 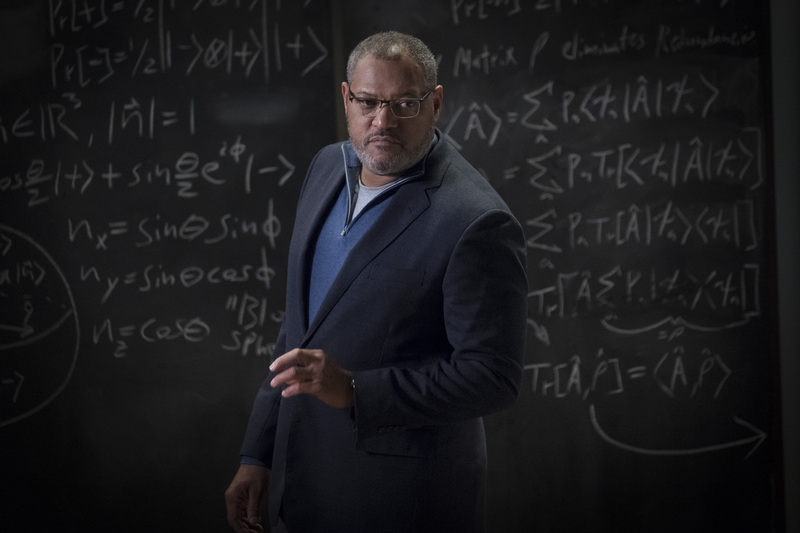 Was the science in the film tough for you? Well just getting your mouth around some of the words was hard. I can’t tell you that I graduated from Quantum Mechanics University, no. But it’s fun. It’s just your sort of restricted in the freedom of your dialogue, what you can say. What were your first impressions of walking on to set, the new lab? I was trying to remember because last I recall, the Pym labs got demolished and the first one. But I must have put a lot of money away. And I’m thinking about all of this that we deal with now and all these covert intelligence operations with countries stealing our secrets and this and that. So, I must’ve had some really high, high classified tools in there. I loved it. It was just staggering. It was absolutely stunning, one of the most beautiful sets I’d ever seen. Our production designer, he’d done a fantastic job. What did your kids think about your role in this film? I said, “Oh?” He goes “Dad, you don’t understand, this is going to bring a new audience for you.” He said, “I recommend you do a sequel if they offer it to you.” So, he just got a kick out of it. It was a picture he could kind of see, and it is true. I must say, I never anticipated (the response). I ’ll all of the sudden feel something pulling on my coat, I’ll look down, and there be a little five-year-old kid and go Ant-Man. And so it introduces you to a whole bunch of people who didn’t see a lot of my movies. What film do you think you are most well-known for and which would you like to be most remembered for? Wow. So Romancing the Stone, The China Syndrome, were there. And I had kind of a run there with Black Rain, War of the Roses, Fatal Attraction, and Wall Street. I like the picture called Wonder Boys. Not a lot of people saw it. Actually, Robert (Downy Jr) was in that. So, those are I guess are some. Oh, Falling Down was another one, American President is mentioned a lot. I got over 50 pictures, and I guess if I were a baseball player I would have a pretty good batting average. Not a lot of grand slams, not a lot of strikeouts. You said you never thought you’d be playing a role next to Michelle Pfeiffer. Is there anyone you haven’t worked with that you would love to? Well, I’ve given up on Jack Nicholson. Jack’s a dear old friend of mine. I don’t know if he’s going to work again. But I’ve always admired him a lot. One of my favorite actors was Albert Finney, but Steven Soderbergh was really kind. We did a picture together called Traffic. And Albert actually, he was listed under a different name. You know, he came in that day and I was like I couldn’t believe it. I mean I don’t know. There’re a lot of good people I’d like to work with, and one of the joys of this is this point in my career is, I want to work with nice people. I mean you can be talented, and you can be nice. And I just enjoy the communal feeling of doing your best work comfortably and reaching out and not having a lot of tension. These two movies are so different than anything you’ve done. Did you find it a stretch or more difficult? Was it easier? Well, it’s easier in that you’re in a supporting role, so the pressure is off. I got history as a producer also so usually when I’m acting, or I may lead in a picture, I’m really looking out for the whole film. In that spirit, I know what my role as an actor is but I know mostly what makes a good movie. And I guess what kind of maybe separates me from most actors is that I’m not just thinking about my role. Because I’m a producer, I want to be in a good movie. Sometimes you have a good part. Sometimes Sharon Stone’s got the good part. But you want to make as good a film as possible. This one’s a little out of your hands because of the technicalities and the areas that you have nothing to do with. But I have to be careful. I like to give unsolicited advice, which I think somebody once told me, unsolicited advice can be seen as a hostile gesture. I don’t mean it that way. The thing that struck me about Ant-Man and now Ant-Man the Wasp in just the response that it’s such a divisive world right now, both in our country and just around the world and what’s happening. Everything seems to be getting fractionalized. One of the joys of this business is you make a movie like this, it’s a worldwide success. And the audiences from every continent go to see this movie, and they laugh like we laugh, you know. They move like you move. And it just brings everybody kind of close together. So, it’s actually the aspect of our industry which I admire the most. And it seems like a good time that we need that. Click here to read more Ant-Man related posts! 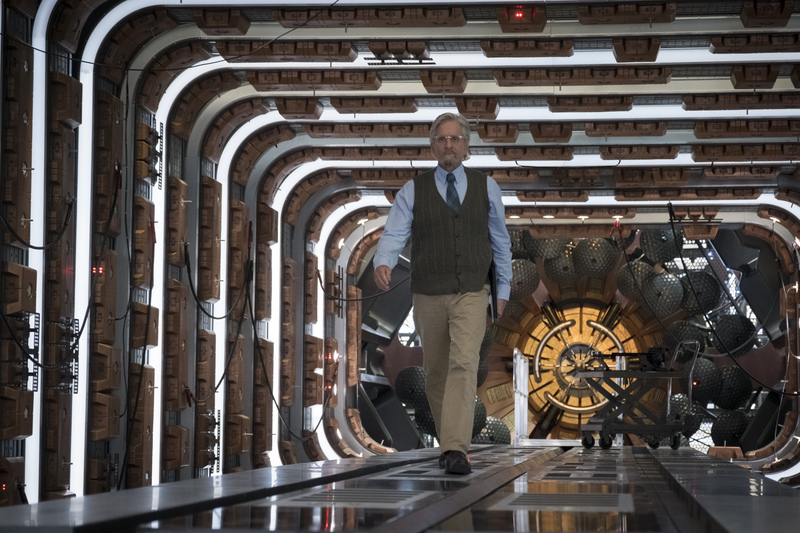 ANT-MAN AND THE WASP in theaters now! 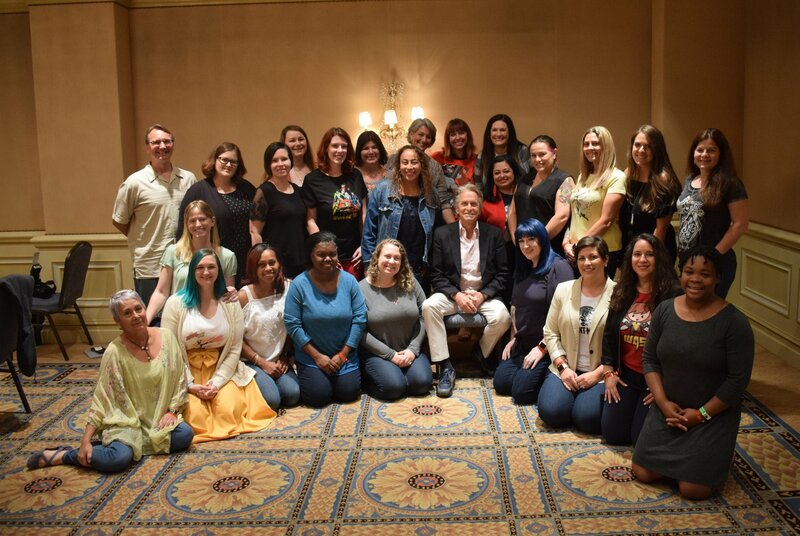 * I was invited by Disney to attend #AntManandTheWaspEvent to share with my readers. All opinions are my own. 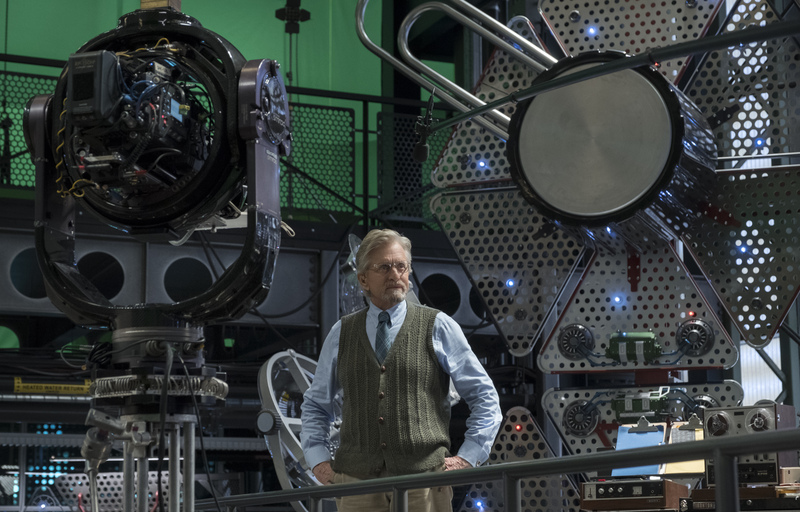 Hey Buddy!, I found this information for you: "Ant-Man and The Wasp Michael Douglas Interview". 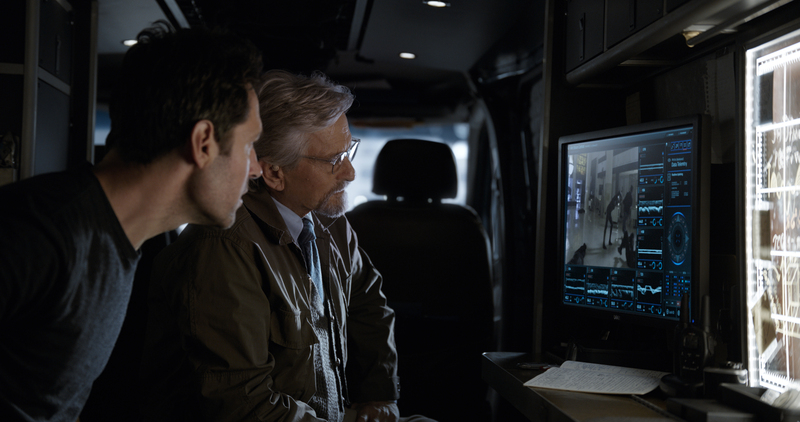 Here is the website link: https://www.trippinwithtara.com/ant-man-and-the-wasp-michael-douglas-interview/. Thank you.